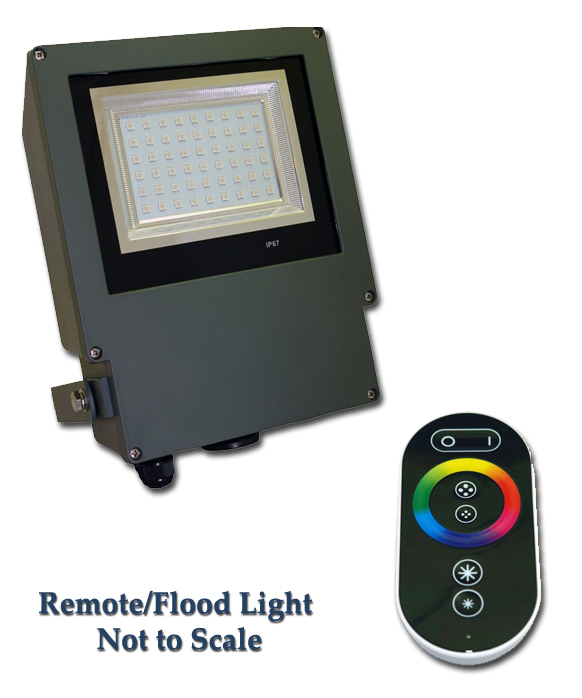 The Commercial Grade Color Changing Solar Flood Light illuminates a 30 by 30 foot area with your choice of light: white or a rainbow of hues, with On/Off, color choice and light patterns all controlled by a Radio Frequency (RF) Remote Control. 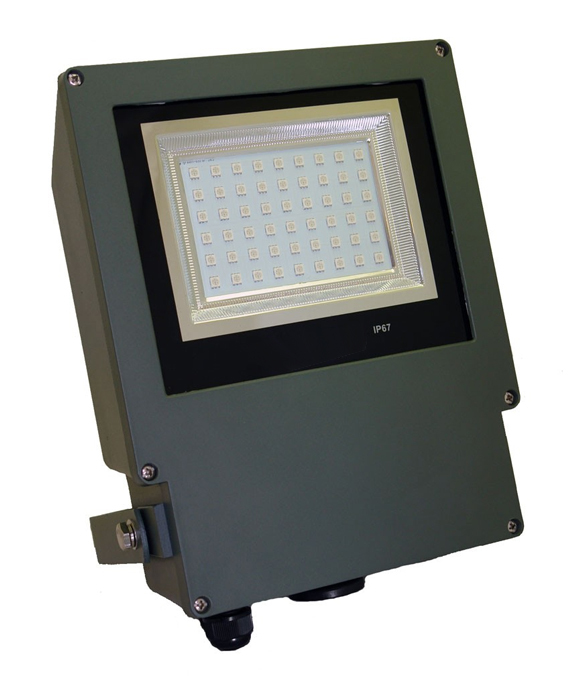 The flood light housing is constructed of die-cast aluminium, the pane is tempered glass. A powerful 13.5 Volt, 11 Watt "Bat-Wing" solar panel (2 pieces hinged) stores solar energy in a 11.1 Volt, 8 Ah Lithium Ion (Li-Ion) battery. 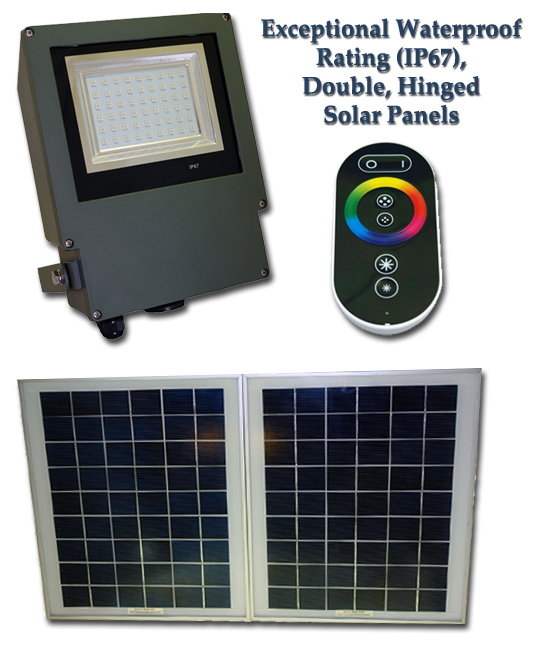 This solar floodlight can be set to turn on automatically at dusk and stays bright for 8 to 10 hours on a full solar charge*. 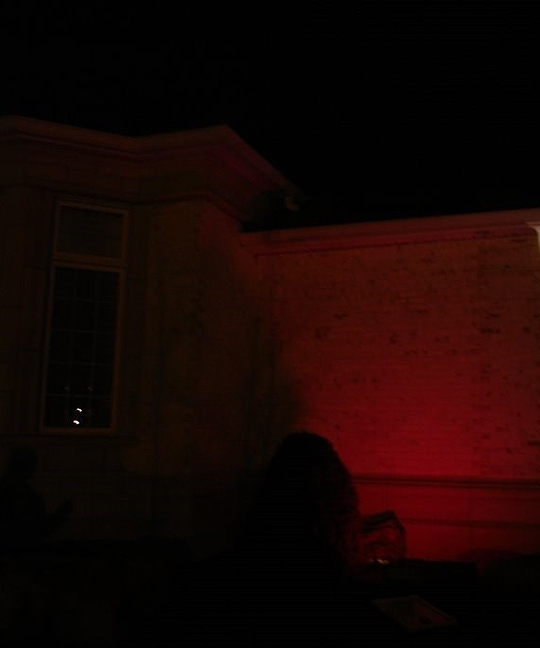 A master override On/Off switch is located on the floodlight. 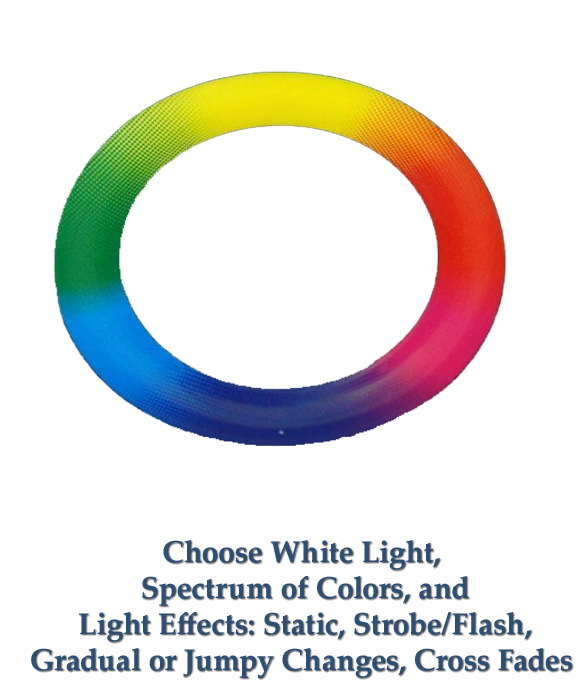 Unless changed by the remote's color wheel, the light will remember the last color and pattern chosen. 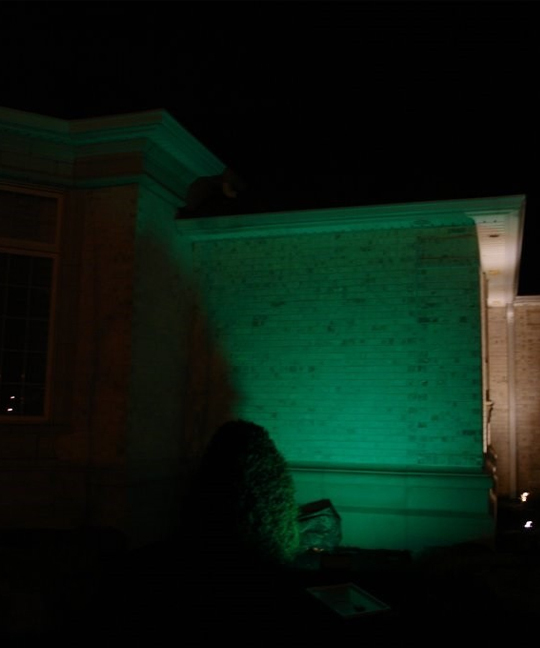 Changing color or light effects takes seconds. 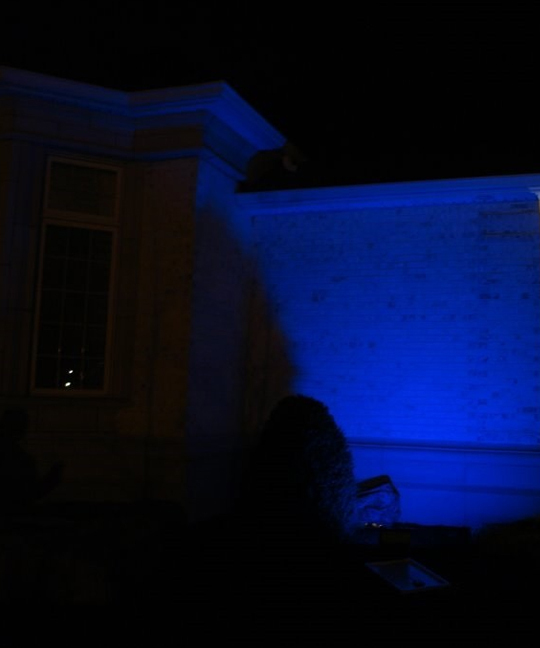 *Depending on environmental issues, (geographic location in US and weather temperatures) estimated night time hours of operation is 8-10 hours on a fully charged battery. Full charge occurs with 10 hours of direct unobstructed sunlight. Correct orientation for the solar panel is to point toward the Southern horizon at a 45 degree angle.